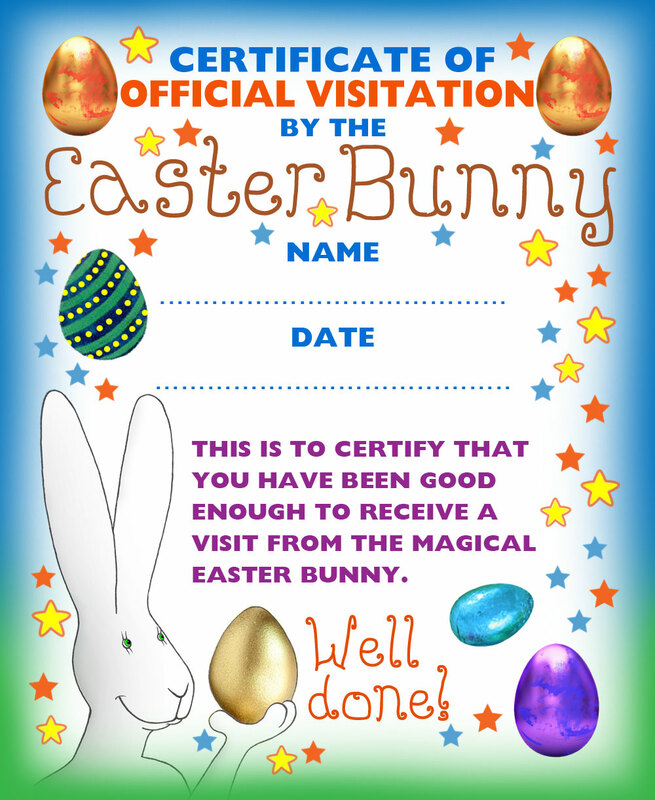 The Easter Bunny likes to leave an Official Visitation Certificate when he visits, or even before hand, to let children know he’s coming on Easter Eve. This is a great award to add to the fun of Easter. This is a very useful Easter certificate to reward a child who has been good. Some people use it on Easter Eve (meaning that the Easter Bunny leaves it with the eggs while your child is sleeping), and others use it before Easter, encouraging their children to take it as a promise that the Easter Bunny will come. Either way, it’s bound to bring a smile.